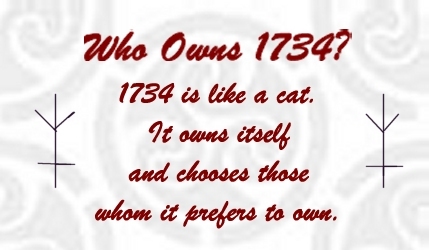 Who Is/Is Not Valid 1734? Really, its not a matter of *who* is "valid 1734" or not. It's a matter of what they are teaching and calling "1734." There is a spiritual initiation, an introduction to certain spirits and lineage. It doesn't come about as a result of physical ritual. It comes about by actual contact with the spirits. Some folks "get" this just by reading the letters Roy wrote to me. The spirit reaches out and grabs them and won't let them go. They are "1734". And they recognize one another, no matter what their practices are, or are not. Yes, there are some initiation rituals and whatnot that I made up, and others made up. Those are actually induction into a group, rather than spiritual initiation, and the two things are quite different. They really shouldn't be confused with each other. There could have been an organized traceable lineage through the initiation rituals, but I didn't think it was so important. After all, that wasn't a part of what Sean, or Roy, or Ruth taught me. The spirit was what mattered. Those folks who experienced those initiation rituals can, of course, teach anything they like -- just like anyone else can. But that doesn't make everything they teach part of "1734" any more than everything that I teach is a part of Christianity, no matter how they rationalize it. For example, I was baptized in my grandmother's fundamentalist church. I was even in training to become a minister. But that doesn't make the things I've taught over the years part of her church. Nor does it make it Christian. I had that initiation and introduction to those spirits. They helped shape me. They helped shape my approach, my attitudes, and my drives. And they stay with me. But I never confused the things I learned from her church with what I've taught and promoted in the Neo-Pagan movement. I never called them Christian, never called them part of that church. I never claimed to be a minister of that church, either -- like many others have with 1734.
Who is valid 1734? I don't know. I can't say. I can say that this or that philosophy, teaching, and organization is working counter to that which I taught as 1734 – is contrary to the spirits I know -- and is contrary to the philosophies and ideals I was taught as the Old Religion by my own mentors, including Roy (who so many of these folks seem to nearly worship). I can tell you whom I did and did not work with/teach -- whom I did and did not share information with, who was and was not a member of my group, and who did and did not receive direct initiations from me in any system. 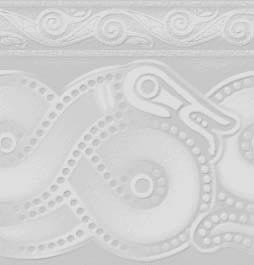 I can tell you some folks out there who have lied about their connections to me, and initiations, and what they were teaching. I can tell you that what some of the people I initiated (and some of them who have lied about those initiations) do and teach and say things that make me ill -- things that make me ashamed, and hurt, and mortified that I shared things sacred to me -- distortions and mutations of things that were entrusted to me as sacred by my own beloved mentors. But I can't tell you who is and isn't 1734. I didn't set it up that way.